Mind the Gap is George’s first novel under the imprint Evidentia Originals – a series of fiction and non-fiction books coming out in print and e-book versions (Kindle) and as audio-books (Audible). These books are distributed exclusively by Amazon and its partner organizations. 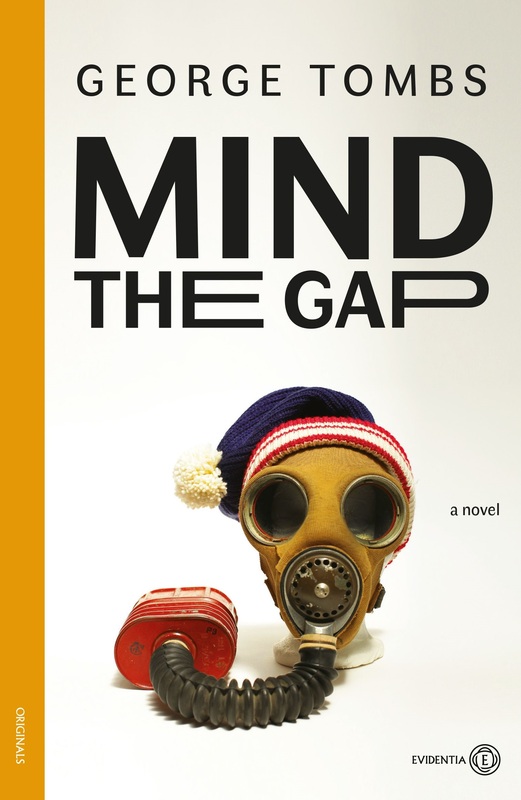 Evidentia Channel: Mind the Gap is your first novel. Could you tell us something about your creative process? George: In 2017, I started Mind the Gap as an experiment, producing five podcasts with my own narration, character voices, sound effects and music. I was in contact with a young worldwide public via social media – and as each podcast came out, these listeners were letting me know what they thought of it. The initial five podcasts eventually morphed into a story, which I developed into the twelve chapters of the novel, as it is today. Evidentia Channel: So, were the public’s comments of any help as you were writing this work? George: Absolutely! I was startled to get feedback from so many people aged 18-35 in 25 countries around the world, but from others as well. You know, writing is a solitary occupation. When you get comments from new people around the world via social media, then you are drawn into an interactive process as you address a public of real men and women, and this makes it easier to find your voice as a creator. In producing the initial Mind the Gap podcasts, I heard back as each chapter was completed and before the next one was started. Evidentia Channel: Mind the Gap is available in print, e-book and audio-book versions. Is any one of these versions the “original” version? George: Well, the audio-book version is not a derivative version. Why should the print version automatically be considered the original version? No, this is a hybrid creation. Before committing anything to paper, I could hear all these characters in my head; I could hear their laughter, tears, doubts, anger and dreams; their discoveries, music, anguish, poetry and prayers; besides, I could hear some of the characters tell the most extravagant lies! Evidentia Channel: You put a disclaimer at the end of each mp3 chapter, and at the end of the book, saying there is no resemblance between any of your fictional characters and real people. Did you just make the whole story up, then? I don’t want to let the cat out of the bag, but some of the situations in this novel are so … weird … I wonder if you could possibly have experienced them in real life! George: This is a work of the imagination. It is a dramatic comedy which has grown organically from an idea I had. I could never have predicted how things would end up. The characters took on a life of their own: they occasionally told me exactly what to write next, in my dreams and my waking hours. I performed all 45 character-voices myself, which means I had to enter the world of each character, and to respect each one. Of course, even a work of the imagination comes from somewhere. I prefer to let readers decide whether the situations are made up, or whether they are accurately portrayed from real life…. Evidentia Channel: A last question. What have you enjoyed the most about Mind the Gap? George: I have enjoyed producing this work, doing the sound design by mixing voice, sound effects and music in the audio-book version to create mindscapes, but also dreamscapes, emotional states and dramatic situations. This is a coming-of-age novel. It says a lot about life and illness and suffering and love – it says things that people, in the real world, would probably leave unsaid. No matter what life throws at you, there is always room for hope and laughter. I have produced Mind the Gap – just for you!